Prevent hose crimping and strain, and extend hose life. Camco RV 90 Degree Hose Elbow eliminates unnecessary stress and strain on all RV water intake hose fittings. It s perfect for RVs or just around the house. Elbow is made of brass for years of trouble-free use. Stop Leaky Water Connections Leaky hose connections can be annoying, messy and wasteful, but they are also preventable with Camco s Water Bandit. A faucet with damaged threads can mean constantly muddy conditions around the faucet and can cause you to get wet each time you turn the water on. The Water Bandit solves these problems and many more. 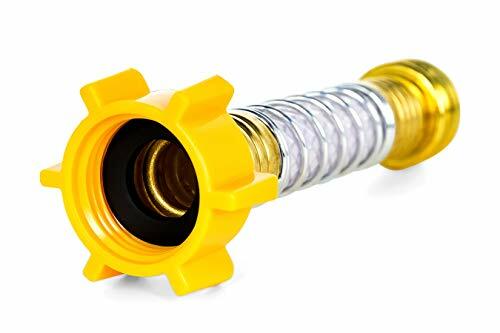 Connect your hose to the Water Bandit by screwing the hose onto the threaded brass end. Then simply slide or twist the rubber end of the Water Bandit onto the leaky faucet or water connection until it is fully attached. It's that easy. You can even connect Water Bandit to a standard unthreaded faucet to refill your fresh water tank. Connect Water Bandit to your fresh water hose, slide over the threadless connection and you re ready fill. Works With Many Types of Faucets Water Bandit quickly connects to most standard hoses. It will work with damaged or stripped faucet threads and even faucets with no threads at all! NOTE: Discharge end of hose must remain open while in operation. Water Bandit is not designed to hold back pressure. Never leave Water Bandit connected while unattended. Quick and easy installation just slip over damaged faucet and screw hose on threaded end Perfect for indoor and outdoor use Connects to damaged or threadless faucets Perfect solution for leaky hose connections One Year Limited Warranty Limited Warranty: Camco warrants this product to be free from defects in material and workmanship under normal use and service conditions for 12 months from the date of first purchase. Camco s liability is limited solely to the replacement of any defective product returned in to us. To the extent allowable by law, Camco makes no other warranty, either expressed or implied, nor assumes any liability for incidental or consequential damages resulting from the use of this product or for breach of warranty of merchantability or fitness for a particular purpose. Submit warranty claims to Camco Manufacturing, 121 Landmark Drive, Greensboro, NC 27409. About Camco Manufacturing Camco started in 1966 with one employee and one product. Today, over 40 years later, we have more than 350 employees, over 3,000 products and five manufacturing facilities to better serve our customers needs. Our home office is in Greensboro, North Carolina. We also have locations in Elkhart, Indiana; Portland, Oregon; Leominster, Massachusetts and our newest facility in Beilun, China. 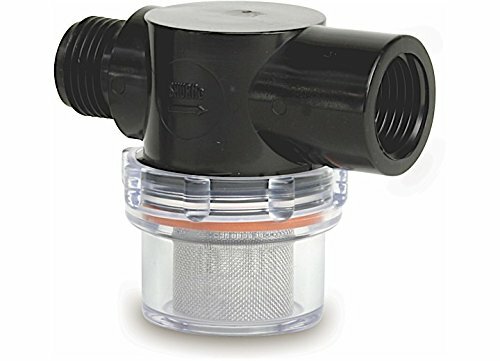 SHURFLO CLASSIC SERIES STRAINER - Clean, clear economical strainers eliminate unnecessary repairs by keeping debris and other particles out of the pump. Screws directly onto the pump head. Transparent design shows when it is time to clean the bowl. Easy disassembly, cleaning and reassembly. Easy Assembly. Keeps Debris Out of Pump. Easy to See When Strainer Needs Cleaning. 50 Mesh Stainless Steel Screen. Twist-On Water Strainer, 1/2 inch NPSM Inlet, 1/2" NPSM Outlet. Camco RV's RhinoEXTREME 20' Sewer Hose Kit has all of the features that RVers are looking for in one complete kit. RhinoEXTREME hose will not dent or rust and will not crush if accidentally stepped on. Superior abrasion resistance for maximum protection against pinholes and leaks. This versatile all-inclusive sewer hose kit comes with two 10' sections with pre-attached Rhino swivel bayonet and lug fittings, translucent elbow with 4-n-1 adapter and 4 storage caps. The removable 4-in-1 adapter allows you to store in 4" square bumpers. 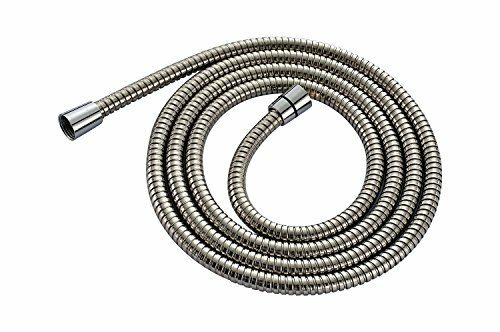 You are looking at a brand new extra long 96-inches (that is 8 feet or 2.45 Meters) stainless steel shower hose for use with hand held shower heads and when extra length is needed. Examples could be reaching a handicapped person in a seat or washing your actual bath tub in the hard-to-reach areas or even washing your pets or any other application that requires long reach. 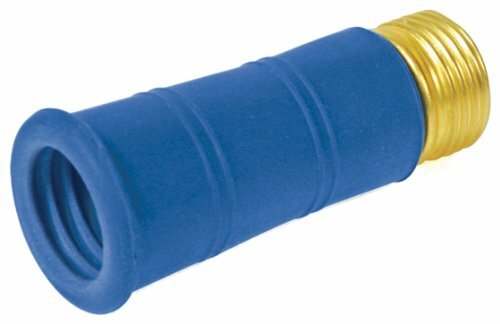 I have seen people using this hose to connect to a hygienic sprayer/cleaner. Even though this hose is made of stainless steel, it still does not kink and is very flexible, making it very friendly to use. This hose comes with a 1/2" standard size ends (also made of stainless steel) with two rubber sealers. This hose comes in whole sale packaging and not in retail packaging, this is to keep the cost down. Buy this hard-to-find hose before they are gone. If you have any questions, please do not hesitate to ask before you buy. I use this product myself and I love it. It is really of high quality..
Tee hose tee arresters install on washing machine supply valves or directly to washing machine. Systems which exceed 60 PSI (414kPa) static pressure shall be installed with a pressure reducing valve upstream of the arrester. Our 2-in-1 tool is designed to simplify your plumbing project when using copper or CPVC tubing. Use it to remove burrs from copper pipe or CPVC pipe and to mark correct insertion depth for SharkBite fittings. The mark is used to confirm that the fitting is seated correctly to ensure a watertight connection. CUT. PUSH. DONE. The SharkBite Connection System makes any plumbing project fast and easy with our unique push-to-connect technology. 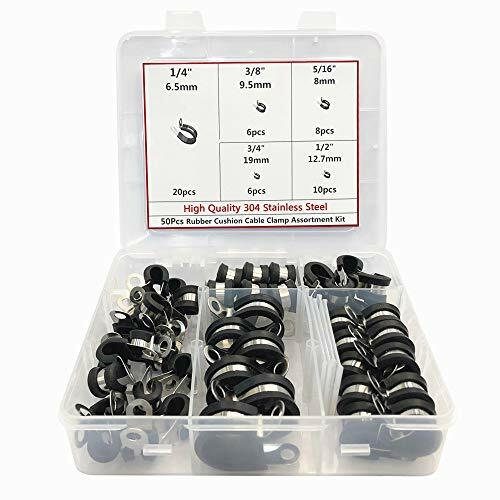 When you insert a pipe into the SharkBite quick connect fittings, the stainless steel teeth bite down and grip the pipe, while the specially formulated O-ring compresses to create the perfect watertight seal. Connect pipe in seconds with relative ease using any SharkBite Push-To-Connect fitting. No soldering, clamps, glue required. It's as simple as inserting the pipe into the fitting deep enough to be sealed by our specially-formulated O-ring. 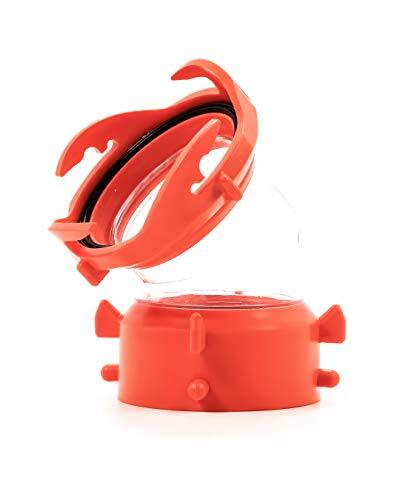 The Shark Bite PEX tubing cutters are an integral tool in the easy-to-install SharkBite Connection System. Our product works with your existing plumbing, is easy to disassemble for changing and reusing fittings, and can be rotated for easier installation in tight spaces. Perfect for joining Copper, PEX, CPVC or PE-RT pipe, SharkBite is the no-fuss way to fix small leaks or plumb a whole house. 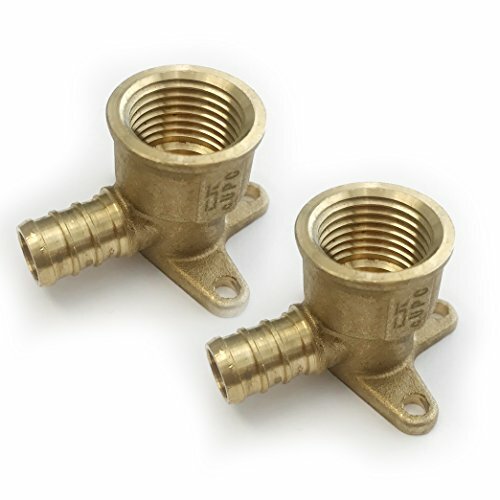 Whether you need to repair a broken pipe or plumb a whole house, SharkBite fittings are the push-to-connect solution for leak-free results. 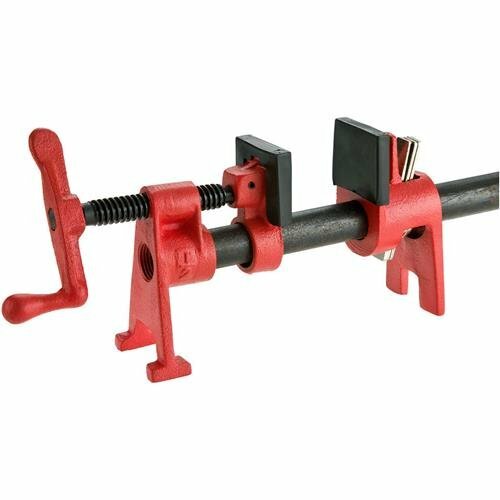 The PEX Hose Pipe Clamp Tools gives reliable, watertight crimps on stainless steel clamps. It is lightweight and valuable for reaching into tight quarters. It features a comfort grip, ratcheting handle for its full-cycle mechanism crimps. Official IWISS Counterfeit Warning: More and more frequently, counterfeit IWISS products are offered for sale through Internet or directly. Every authentic IWISS product comes with a lased IWISS logo, designed package and/or a QR code sticker on the box. IWISS team kindly remind you not to be tricked, and to report indecent selling outside Amazon IWISS exclusive store. Applicable age: More than 3 years old. Super cute & soft ,slow rising. 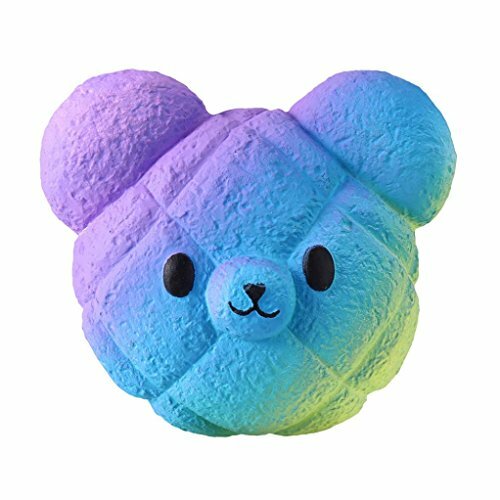 Super cute, so squishy and slow rise! It is super fun to squeeze these squishies. Don't let your children put these squishies into their mouth. Cute and soft charms for cellphones, bags, keys, gifts, collecting, and more! Also As stress relief toys for giving vent to your emotion. As a decompression toy,relax toys,festival items,childrens party decorations ,christmas gifts, halloween gifts festival items baby baths bathing toys children's kitchen food toys, baby early childhood education toys,new Year's gift. GET YOUR DIY PROJECT DONE TODAY!!! 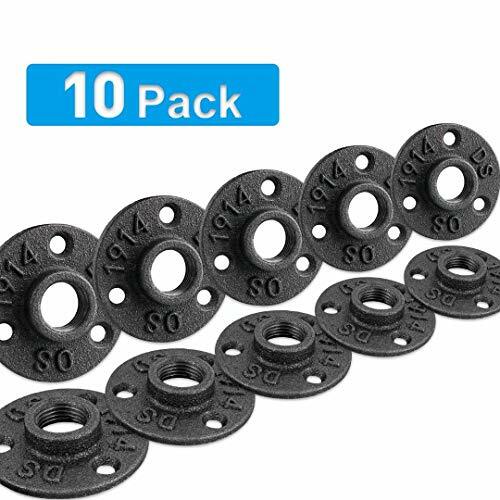 Brooklyn Pipe iron floor flanges are your best choice to help you get all your DIY projects done. Our 1/2 inch black iron flange provides the Industrial, Vintage Steampunk Pipe D cor look at a fraction of the cost that those big box stores charge. We spend the time and money to have all our 1/2" floor flanges inspected. We send any defects back to our factory so when you receive a Brooklyn Pipe package, you're getting the best we have to offer. We have long-standing relationships with our manufacturers which is why Brooklyn Pipe can provide our awesome customers with quality pipe fittings at a great price point. Iron Pipe Floor Flanges is our business, and we are the industry leader. While other plumbing fittings sellers try to use our name, images, and our listings. We are a small mom & pop business in the United States. We can offer our customers the highest level of customer service and support and we're available anytime. When you call Brooklyn Pipe you'll be speaking to a live person. We don't believe in overseas call centers unlike much of the competition. If there is an issue with your order, whether it's related to the quality, missing pieces, or if you just want to ask a question about your project, give us a call. Our customers are our top priority, and we're always here for you. 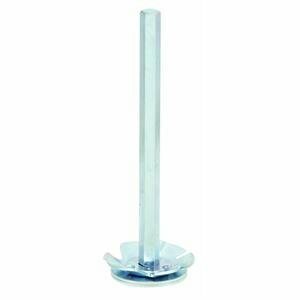 1/2 INCH PIPE FLANGE - Our Brooklyn Pipe floor flange is a great choice for all your DIY needs. This decorative plumbing flange is the perfect pipe fitting to take your project to the next level. 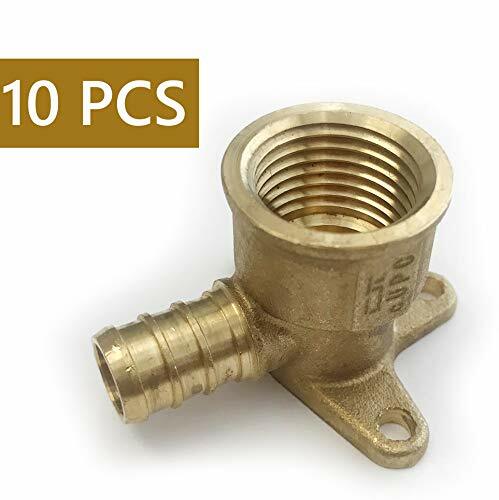 These fittings are for decor and DIY projects only, they are not rated to carry gas or water. SUPPORT AMERICAN BUSINESS - We live and sell in America, please help support our USA small business. We always go the extra mile for our awesome customers. NO CHINA STAMP - Our forged malleable iron flange doesn't have the word CHINA stamped into the flange which is another reason why Brooklyn Pipe stands out in the pipe fitting products that are on the market. Our 3 hole flange is just as strong as the competition but simply looks better! QUALITY CONTROL - We work directly with steel factories and hire licensed inspectors to review our Brooklyn Pipe products prior to being packaged. Rest assured you are getting top quality products every time you open our packaging. If there are any issues we stand by our products 100%, just e-mail or call us and we'll make it right. Drain your RV with ease with the Valterra Hydroflush! This sewer hose attachment features bayonet fittings to ensure a leak-proof draining experience. The clear construction allows you to see when the water runs clear. 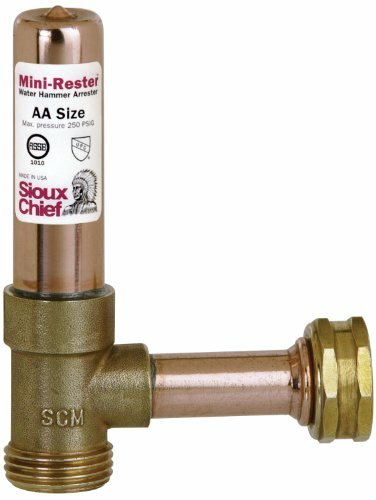 With an anti-siphon valve, you can protect your fresh water supply from possible backflow. The water flow from this valve helps break up plugged tanks and cleans tank, pipe, valve, and drain hose. Easy to install and use, the Hydroflush is the perfect addition to any camper, RV, or trailer. Fits any 3/4 male hose thread outlet. Break off attachment screw for permanent installation. Hose threads comply with ANSI B1.20.7. 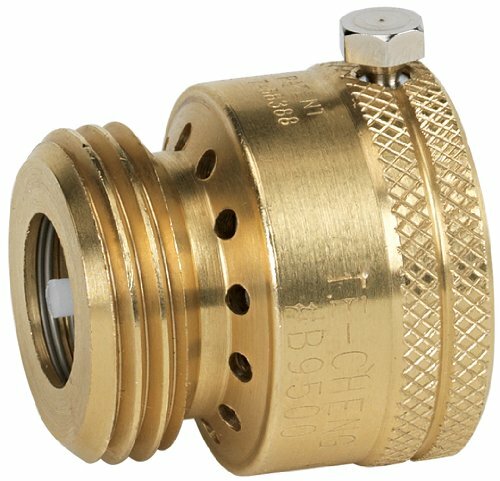 3/4 Fits any 3/4 male hose thread outlet Break off attachment screw for permanent installation Hose threads comply with ANSI B1.20.7 Brass Csa certified Asse approved. We ensure the best quality of pipe flange and the outstanding after-sales customer service. No questions asked! 90 days unconditional refund or replacement of the pipe flange. If you have any doubts concerning our pipe flange for shelf, please do not hesitate to contact our customer service. We will offer you the best service ever on Amazon. 1/2 INCH PIPE FLANGE - Our Home TZH Pipe floor flange is a great choice for all your DIY needs. This decorative plumbing flange is the perfect pipe fitting to take your project to the next level. HIGH QUALITY MATERIAL - This PIPE FLANGE is mainly composed of iron, carbon and silicon alloy composition, with high strength, good toughness, plasticity and machinability. INDUSTRIAL DECOR- Our 3 hole flange is 2.58 inches in diameter and provides a unique look for all projects. Whether you're looking for an industrial, steam-punk, vintage, retro, factory look, our flange will fit perfectly into your project. WIDE APPLICATION - The small solid and strong pipe flange could be used for any shelf installation, such as bookshelf, garden shelf, table and chair corner. It can play a good role regardless of its small size, and make your home or garden look more beautiful. 100% MONEY-BACK GUARANTEE - We offer 90 days unconditional refund or replacement service if there are any quality issues. Contact us at any time and we will give you a satisfying answer. Just take a chance of our corner braces and we promise that you will not be disappointed. Edge Polished Smooth Cochlear design ensures continuous clamping during temperature changes or machine vibrations, edge polished smooth, avoid damage to the hose. High quality crimper The jaws are made of chrome vanadium steel, which is durable and will not collapse or deform, so the installation effect is always the same. Perfect kit for the DIY home-owner or the professional looking to get started with plumbing bundle. 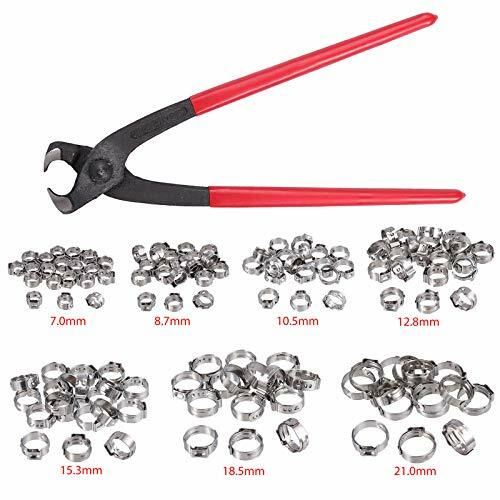 Corrosion-Resistant TUV approved, high precision single ear stepless hose clamps 304 stainless steel, anti-rust for long-term use. 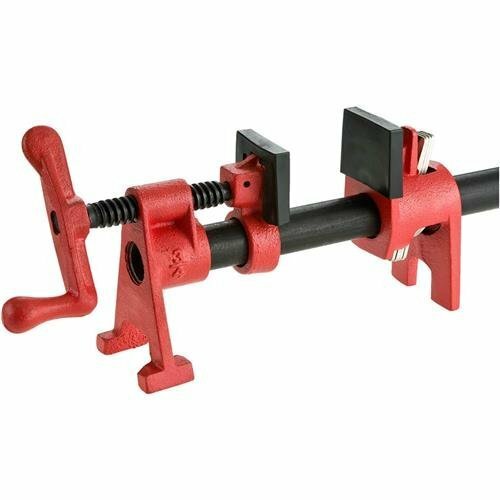 360 Stepless Design & Durable Crimper No inner protrusion/gap, narrowband design ensures a more concentrated sealing pressure; with chrome vanadium steel jaw, not to collapse or deform. Good Pack Value Perfect tool for DIY home-owner or professionalists, for Indoor hot water pipes, air conditioning pipes, petrochemical transport pipeline use. Made of 304 Stainless steel material with quality rubber cushioned. Easy to use, It Is Perfect for Mounting Varies Lines Just As the Soft Tube, Steel Tube, Aluminum Wire Line Cable . It Is Widely Used in Boat/marine, Windshield, Car, UTV and Home etc. Made of 304 Stainless steel material with quality rubber cushioned(EPDM). Salt resistant, anti rust, anti-corrosion, waterproof, oil-proof. SIZE- Cable clamp inside diameter range: 1/4'', 5/16'',3/8'', 1/2'', 3/4''(6.5mm~19mm). Fit for outside diameter range of 1/4''- 3/4'' pipes, wiring and cables. 1/2 Inch 90 Degree Street Elbow Industrial Cast Iron Pipe Fitting 8 Pack by Pipe Decor, Pipe Components For Building Tables, Chairs, Shelving, and Custom Furniture, Fits Half Inch Pipes, Eight Pack. Pipe D cor was founded by LDR Industries, a leading supplier of high-quality kitchen, bath, plumbing and related products in the home improvement sector. Realizing that retail stores were quickly selling out of basic pieces, like flanges, the idea of Pipe D cor was born: an idea to help hobbyists find the products they need for their do-it-yourself inspired projects. Pipe D cor is a way to showcase your creativity all while creating functional and visually appealing pieces that last. At Pipe D cor we're about the community; we're a channel where people can gauge new ideas, hear other people's stories, and learn about what items are available to create. Here at Pipe D cor we're modernizing pipes and using traditional materials in new innovative ways. We can't wait for you to join us on our journey! 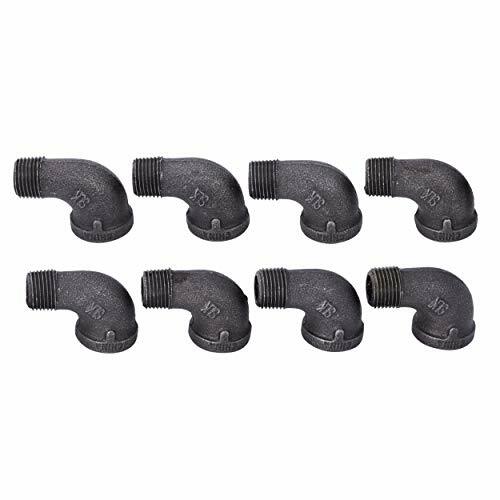 1/2" INCH 90 STREET ELBOW 8 PACK: Our Pipe Decor cast iron 90-degree street elbow 8 pack provides you with high quality pipe fittings at a great price. Each piece is threaded to fit 1/2" pipe and are sure to tie your rustic creation together. AUTHENTIC INDUSTRIAL PIPE FITTINGS: These are genuine industrial pipe fittings that will stand the test of time. You will know Pipe D cor parts and accessories when you hold them. Beauty and beast. Strength and style. This is real industrial pipe for your decoration and designs. Accept no substitutes. Extra pieces and accessories are available for your custom fixture projects and expansions. Plug and play as desired. CREATE CUSTOM PIPE FIXTURES AND FURNISHINGS: Create a one of a kind shelf, table, lamp, or a piece of art that perfectly fits your space. Iron pipe and pipe fittings complement a variety of looks and aesthetics, including: steampunk lighting, industrial, factory, French country farmhouse, vintage, retro, reclamation, DIY customized, exposed heating and cooling, modern, and water piping. Build something that speaks to you. 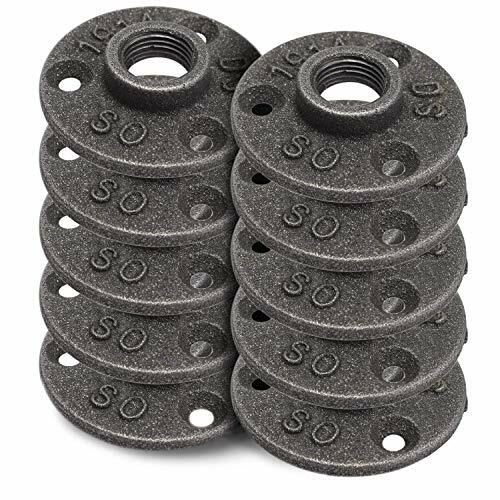 CLEANING AND SEALING: Since these are unfinished cast iron components, we highly recommend that you clean and seal each piece to ensure that they stay rust-free. Each fitting is coated in a light black grease that will rub off with use. Your hands may get a little dirty, but that is the price of high-quality industrial pipe fittings. WE ARE HERE TO HELP: Please reach out to us if you have any questions or issues of any kind. We stand by our products and are committed to our customers. We want you to be satisfied with your purchase and hope that you share your unique creations with us and your friends.